Share their article in the same ways permitted to third parties under the relevant user license (together with Personal Use rights) so long as it contains a CrossMark logo, the end user license, and a DOI link to the version of record on ScienceDirect. *Please note that society or third party owned journals may have different publishing agreements. Please see the journal's guide for authors for journal specific copyright information. **This includes the right for the publisher to make and authorize commercial use, please see "Rights granted to Elsevier" for more details. Download a sample publishing agreement for subscription articles in English and French. Download a sample publishing agreement for open access articles for authors choosing a commercial user license and non-commercial user license. See our author pages for further details about how to promote your article. For use of Elsevier material not defined below please see our permissions page or FAQs or email us at the permissions help desk. For US government employees, works created within the scope of their employment are considered to be public domain and Elsevier's publishing agreements do not require a transfer or license of rights for such works. If an author becomes aware of a possible plagiarism, fraud or infringement we recommend contacting their Elsevier publishing contact who can then liaise with our in-house legal department. Note that certain open access user licenses may permit quite broad re-use that might otherwise be counted as copyright infringement. For details about how to seek permission to use an article see our permission page. 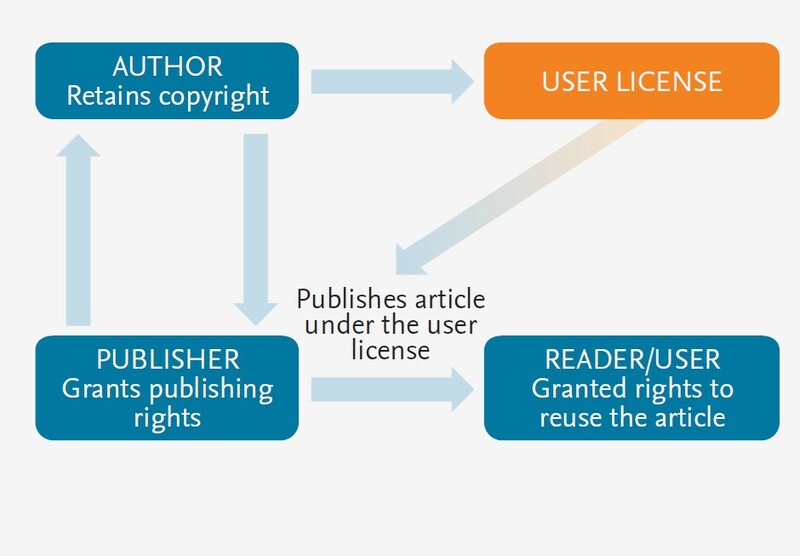 Authors sign a publishing agreement where they will have copyright but grant broad publishing and distribution rights to the publisher, including the right to publish the article on Elsevier's online platforms. The author chooses an end user license under which readers can use and share the article.